Being a blogger is easy. The challenge is to achieve a level of success that you can sustain for a period. Some bloggers start fast and fizzle out just as quickly like a flash in the pan. Blogger Dominique Jackson is fully aware that blogging is a marathon. You need to pace yourself in order to maintain the high level of production for your blog posts. More importantly, Dominique knows the responsibility he holds as a seasoned blogger and online marketer. He has proven himself authoritative enough to help other beginners on their path to success. 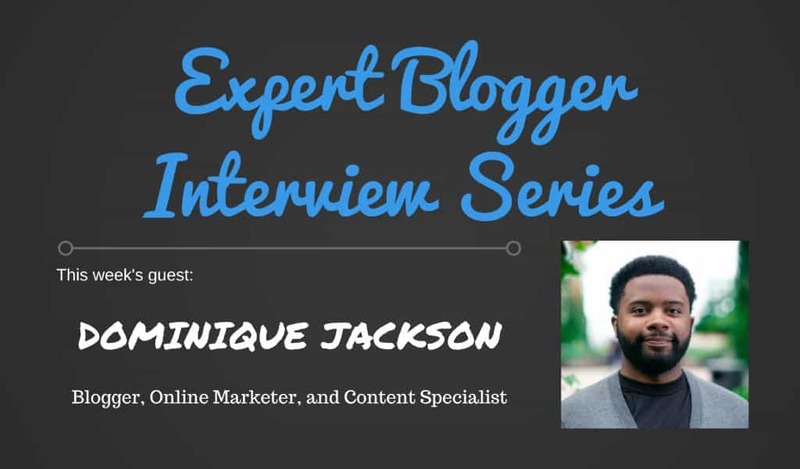 In this interview, you will learn how Dominique took the reins as a blogger and how he marches to the beat of his own drum by providing valuable content – and free courses – to his audience. 6. Name an instance when you’ve helped a new blogger find success. How were you able to provide him/her with tools to learn how to blog from the ground up? 7. Who among your blogging peers do you consider the best and why? 8. What do you think separates yourself from other good bloggers out there? 9. List down the blogging tools that you use and explain why people should use them for their own blogs. 10. How “successful” would you consider your blog? 11. Is your intention of providing help to all bloggers the reason why you set up Nifty Blogging? Also, what made you change your mind in turning it from a paid e-course to a free one? 12. What do you think are the upcoming blogging trends people need to watch out for? 13. If there’s one advice that you would say to a starting blogger, what would it be? I wouldn’t say there was a specific moment. I started learning about affiliate marketing around 2010-2011 when people were using blackhat SEO techniques to try to rank sites quickly. During that time I probably started over a dozen blogs and didn’t stick with any of them because I wasn’t passionate about any of the topics. I also started working as a freelance writer during that time which helped me become better at creating content and understanding SEO. All of that (even the failed sites) taught me a lot about SEO, content creation, WordPress and blogging. I started my first “successful” blog in 2013, and that’s what really got me going. And while I ended up selling that site, it made me realize I could make decent money doing something I enjoyed. I started blogging while working various dead-end jobs that had nothing to do with blogging or SEO. My personal blog allowed me to build a portfolio of content to showcase I knew about marketing and SEO, which eventually led me to working in SEO professionally. My biggest obstacle was definitely finding something I was passionate about. While I’ve owned several sites over the years, the first site I sold and my current personal are about topics I genuinely enjoy writing about. Every blog I’ve started about something I’m not really interested in has failed. Just to give you an idea of how bad it was, I once had a blog about window cleaning! Thankfully I haven’t had any terrible clients. But when I first started freelance writing I was sourcing jobs from sites like WickedFire and Warrior Forum so I was getting paid horribly. But it was all a learning experience and helped me become a better writer. Luckily I’m not dependent on freelance work to make money so I can be selective about who I work with. 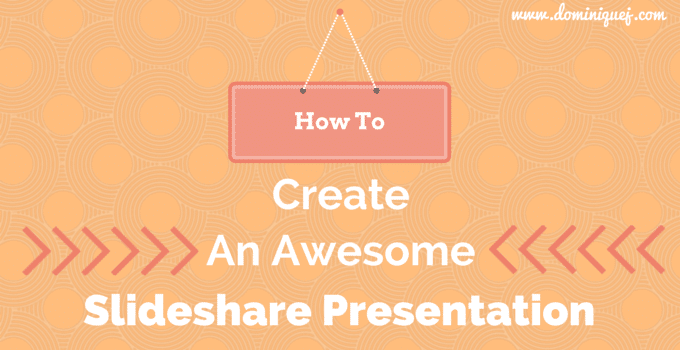 I’d probably have to say my guide on how to create an awesome SlideShare presentation. The reason why is because it’s the first post I wrote that got picked up by a major organization. I remember receiving the email from SlideShare asking if they could republish it on their blog. I was absolutely thrilled because they came to me, rather than me reaching out and asking them to share it. Also, the article I wrote about common phrases people say incorrectly on Lifehack. It’s by far my most viral post ever and even earned me a radio interview! One good example is from my SlideShare post. After reading my guide, I had someone email me saying they were trying to put together their first slide deck and wanted me to take a look. In addition to the tips they got from my blog post, I was also able to give her some feedback that she used to improve her content. I think that’s another thing that separates me from other bloggers. I always welcome people to ask me questions and give my best feedback without asking for anything in return. The amount of “experts” whose sites have no way to contact them outside of setting up consultation is ridiculous. I’ve gotten on phone calls, video chats and constantly answer emails, blog comments, and Twitter DMs to help people without charging a dime. I wouldn’t have it any other way. Brian Dean, hands down. He the perfect example of focusing on quality over quantity. He puts a ton of work into each post and it shows. He makes me want to up my game on my own content, which is always good. Also, have to give Glen Allsopp a shoutout. He’s another person that doesn’t post frequently, but when he does he delivers massive value. My ability to write in a way that anyone can understand. A lot of bloggers try to “sound smart” when they write, instead of just writing naturally. It’s one of the reasons I started writing “how to” posts about WordPress. I like to break down ways to solve issues in a way that people completely new to WordPress can understand. KWFinder: I use this to find long tail keywords. It’s super affordable and really effective for finding less competitive keywords to create content around. SEOProfiler: This is the tool I use to check backlinks, monitor keyword rankings and manage blogger outreach. For everything it does, the price is really good. The goal of my personal blog is to help people. And over the years I’ve been able to help thousands of new bloggers, businesses interested in content marketing and others. So it’s successful for me. I have other sites I own for the purpose of monetizing, but I love the fact that I’m able to provide everything on my personal site for free. That’s exactly why I created Nifty Blogging and why I ultimately decided to give it away for free. I was tired of all the garbage courses out there that cost hundreds of dollars without providing any real value. So I wanted to do something different. Nifty Blogging is something I wish I had access to when I first started out, and hopefully, it’ll help out a lot of people. I decided that outside of actual freelance work, I’ll never charge for any type of content on my site. I give it all away for free. >> To read more about Nifty Blogging and why you should sign up for a FREE account, CLICK HERE! The funny thing about blogging is people are always looking for trends or ways to get an edge on the competition. But if you look at the most successful sites that have had longevity, you’ll notice they all have one thing in common. They create content that people want to consume, period. It’s the only “trend” that’s guaranteed to last regardless of changes to Google’s algorithm or any new social networks that pop up. Create great content that people want, and figure out how to get it in front of them. Make your first blog about something you’re passionate about. Otherwise, you’ll give up. 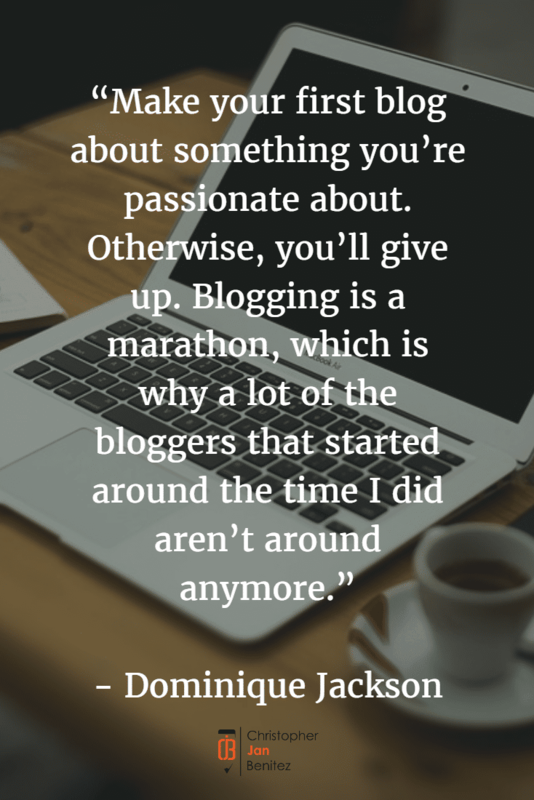 Blogging is a marathon, which is why a lot of the bloggers that started around the time I did aren’t around anymore. When you’re looking for quick success, you won’t stick with it when your blog is six months old and only getting 200 unique visitors per month.